Rory McIlroy. Picture by Paul Lakatos/OneAsia.Kim Hyung-tae carded an immaculate, five under par 66 to take a commanding four stroke lead over second round leader Hong Soon-sang (71) on nine under par. But it was anything but immaculate for McIlroy, who made just one birdie in his round at Woo Jeong Hills Country Club near Seoul. That came at the par-five fourth but he immediately bogeyed the fifth and missed several birdie chances to turn in level par 36. On the back nine it was an even bigger struggle and after a double bogey six at the 10th - he was in the trees right, chipped out left handed and then missed a three footer - he dropped further shots at the 11th (water with his approach) and 14th in a homeward nine of 39. “It was weird,” McIlroy said. “I actually started the round really well — I gave myself birdie chances on the first five holes, but missed a few of those. “I picked one up at five, but gave it straight back with a three putt, and from there it was a bit of a struggle really. I didn’t birdie the par-five eighth so turned at even — which wasn’t so bad — but then got on a bad little run on the back nine. 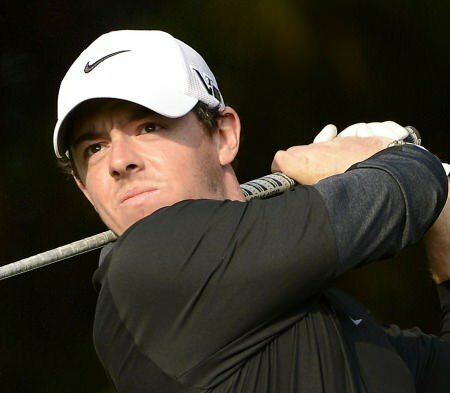 “I double-bogeyed 10, bogey 11, bogey 13 and couldn’t really get it back after that. I just think the story of the day is that I missed a lot of putts, missed a lot of chances for birdies at the start of the round and then mixed a few short ones for pars in the middle and end of the round. That’s really what it was. 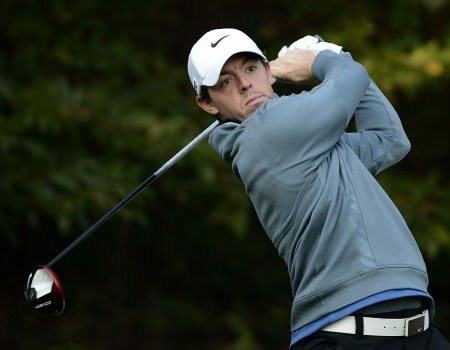 The Korea event is the first of five season-ending tournaments for McIlroy, who has yet to win this year and struggled to find any consistency. Rory McIlroy lines up a putt in the third round. Not many were dropping. Picture by Paul Lakatos/OneAsia.“I wanted to come here and play, it’s nothing about trying to build confidence or anything like that. I just wanted to come and play and it’s a nice little run that I’m on — a few weeks in Asia — and it’s nice to start here. 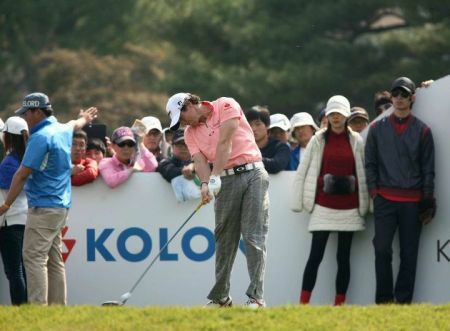 Rory McIlroy hasn't got much to do in Korea in the evenings so he's been spending time on Twitter. On Saturday he'll get to play with someone around is own age - Ryo Ishikawa - in the third round of the Kolon-Hana Bank Korea Open. 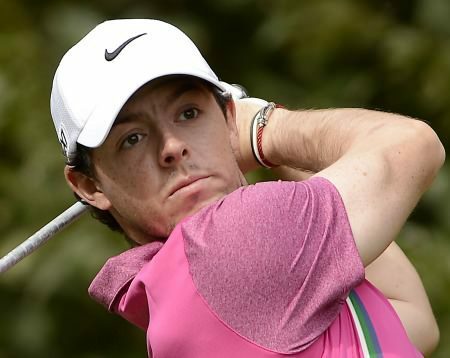 McIlroy and Ishikawa are six off the lead after carding rounds of 68 and 69 respectively.